Here’s a selection of feedback letters we have received from visitors to the Club. On behalf of The South East England Tourist Guides Association and Visit Chichester I would like to thank you for allowing us to hold our AGM in your stunning premises. The event ran smoothly thanks to the efficiency of all your staff . The room upstairs was well equipped and beautifully set up for the lunch. Everyone mentioned how much they enjoyed the facilities and you certainly have a wow factor with that stunning view. I know that Visit Chichester would like to use you again for events and it is a place I would not hesitate to recommend to our special clients. Thank you for the splendid lunch that you presented to our bridge group earlier this month. As always you did us proud and we look for to next year with you. To all the staff at CYC. Thank you all for all the hard work for my 90th birthday celebrations. All my family thought the venue, food and friendliness of the staff was exceptional and I felt very proud to be a member of CYC and all it offers. A big thank you to Emily and the team for a beautifully decorated event, very good bar and table service, delicious food and great music. All the ingredients for a perfect party, we all had a super time. I want to thank you and your team for the best surprise birthday party on Saturday. I had absolutely no idea and was totally overwhelmed as you probably noticed. It was fabulous, everything from the venue, the catering, the staff – thank you Tom. Please pass on my huge thanks to the event staff. We are writing to thank you for organising a great Wedding Reception on the 7th October 2017. Our guests were all impressed with the venue and the wonderful food. Please thank your kitchen and waiting staff for making the day so special. I just wanted to drop you a line to thank you and your team for everything you did on Saturday night. Particularly I would like to thank Keith who was fantastic, so if you could pass on our thanks to him and the rest of your team please. The evening was a great success made all the easier for your help and cooperation Tom so thank you. We were fortunate enough to celebrate our daughters wedding at the Club on 5/8/17. Thank you so much for all your hard work and for making it such a special occasion. We always knew it would be a very scenic venue but the food and service were exceptional. Our wine tasting evening was a great success and your staff worked really hard so thank you for all the support we had. We would like to say a ‘BIG THANK YOU’ for all the hard work you and your team put into our daughters wedding. We and all the guests were very impressed with everything and you even managed to turn the sunshine on. I would like to say thank you to you all for making my 50th birthday celebration such a fantastic evening. A huge thank you to Andy for his superb tasty curries. I had a brilliant evening, it just flew by but relished every moment and would love to do it all over again. To Tom and all his waiting/ bar staff and chefs etc. Thank you so much for making my 60th birthday party so special, everyone enjoyed themselves and were very complimentary of the venue. Chichester Yacht Club was the absolute perfect location for our workshops, the hospitality we received at the Club was excellent. The Upper Deck served as a fantastic, light, airy room overlooking the harbour and is very conductive for this type of event. Nothing was to much trouble for the team and I would not hesitate to recommend this as a venue for workshops and conferences. It is extremely competitively priced in comparison with venues in the area. Thank you for all your sterling work last weekend – it was thoroughly enjoyed by all. I just wanted to say many thanks for the surprise 60th birthday party that my wife organised with you. It was a bit of a shock but a lovely surprise. Please pass on my thanks and appreciation to all of your catering/function staff who helped to make it such a lovely evening. Once again Friday was a great success! Everyone enjoyed it, on top of the delicious lunch we had sunshine and high tide! 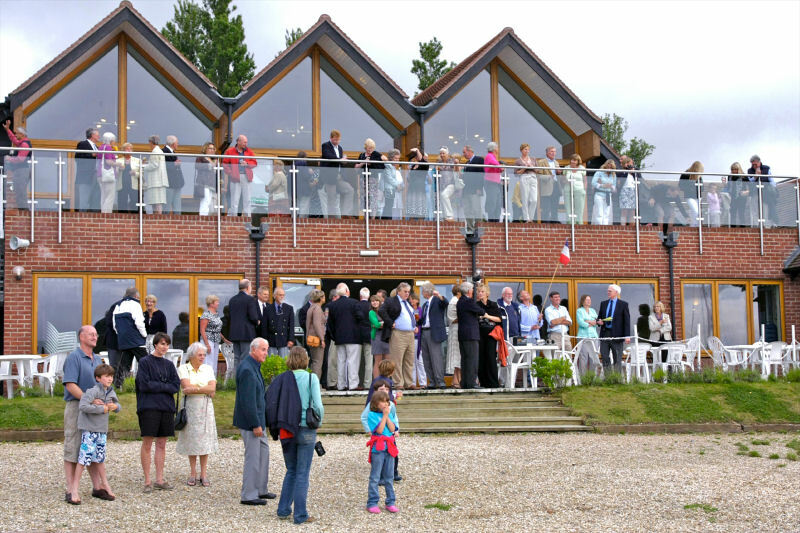 ‘Chichester Yacht Club has been our premier choice of venue for the past four years. Tom and his team have always gone out of their way to ensure that our day is a resounding success. Great venue, great service and excellent value for money. Dear Tom and all the team who helped make our day amazing. Thank you for all your help in planning and executing our day perfectly, we had the best day. Everything from the food, the wine and the staff were all fantastic. We’d definitely not hesitate to come back for any future functions. We attended the wedding reception last Saturday and wanted to say what a lovely occasion it was with delicious food and very efficient and friendly staff. I must mention particularly your Hospitality Manageress Diane. Please pass my very grateful thanks to her. She is an exceptional member of your staff.